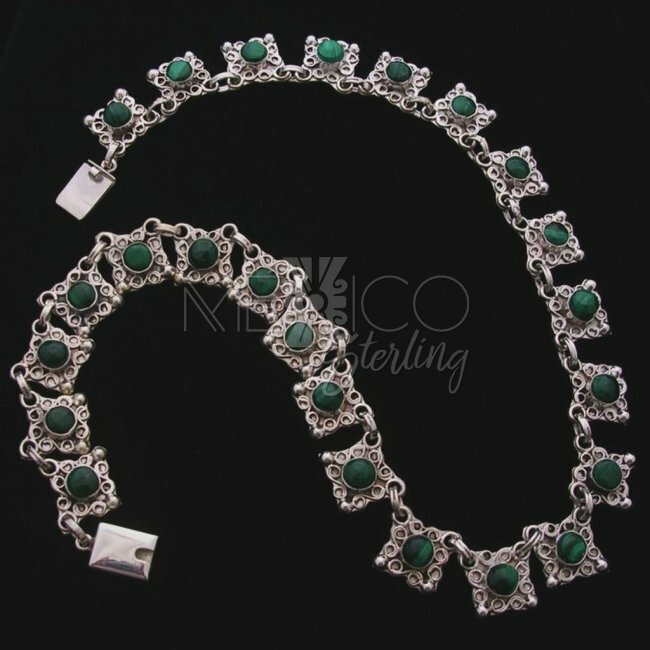 Old Taxco Sterling Silver and Malachite Necklace [NKL2750] - $265.00 : Mexico Sterling Silver Jewelry, Proundly from Mexico to the world. 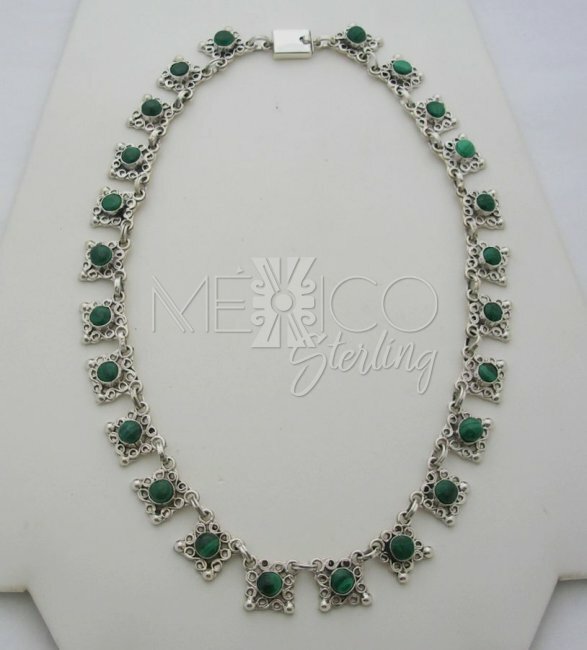 Dimensions: Width : 5/8" Length : 18"
Wonderful ingenious design. 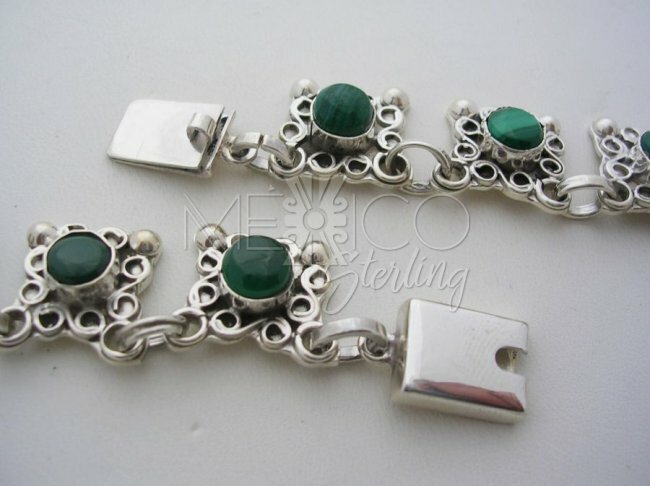 Little blocks with central malachite cabochons and beautiful ornamental borders. 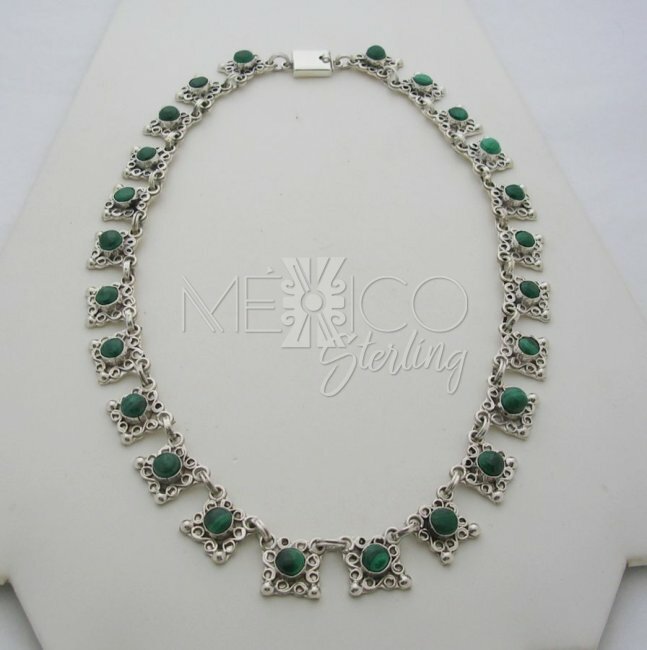 Nothing more feminine and original than this gorgeous piece. 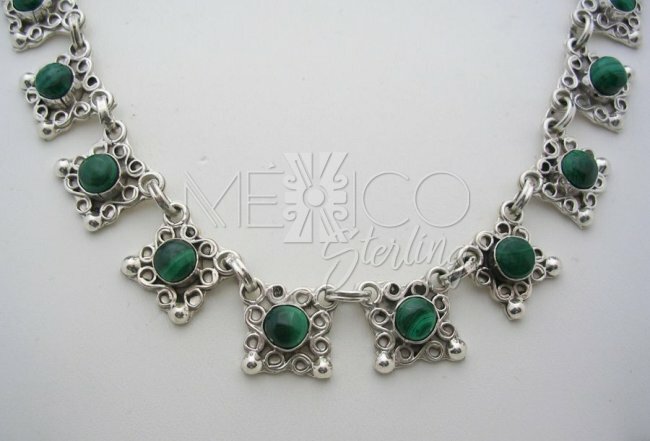 This is a fine piece of jewelry, created with all the "old Taxco" unique features. 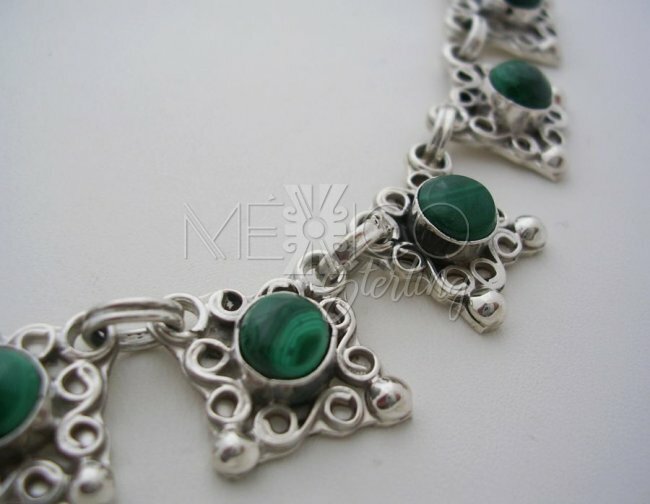 It was hand made with excellent workmanship and beautifully finished. 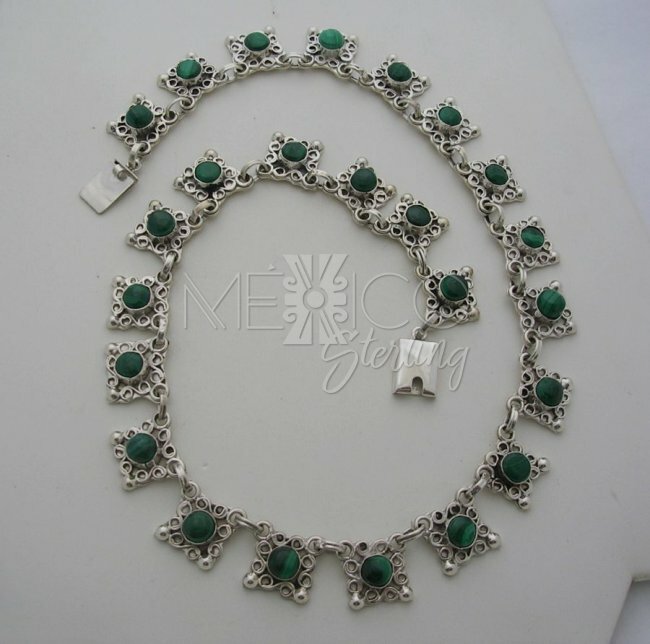 It is a solid, sturdy and substantial in weight necklace with a total of 86.1 grams. 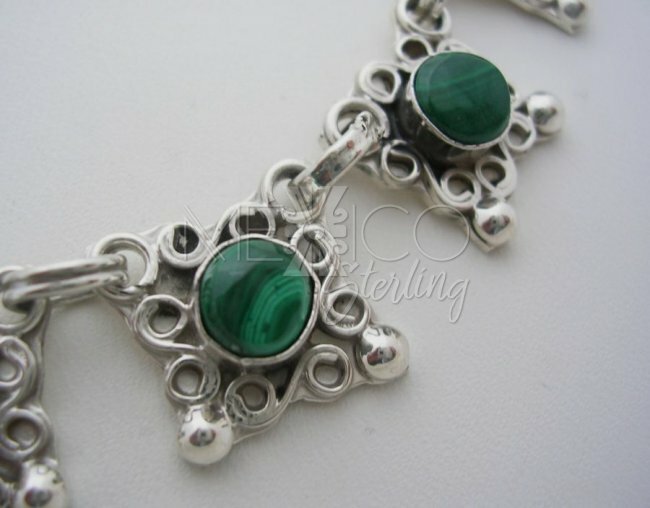 We have this necklace available with Malachite and Amathyst stones. 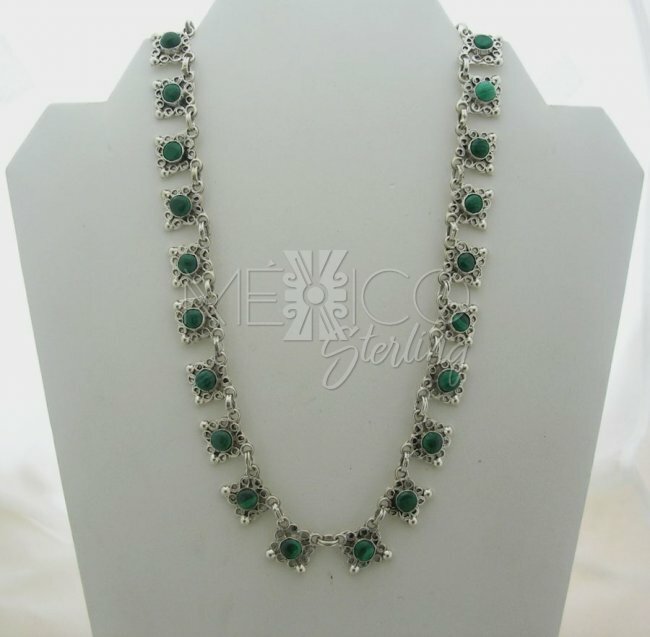 Also if you need a larger or shorter length, let us know. We can help.